I received an e-mail blaming Israel for killing innocent children and destroying homes in Gaza. There was a demand to stop the war immediately, open the borders of Gaza and free the people inside. Is this all a good idea? Is this sad situation all Israel’s fault? First, there is a reason the borders are sealed. They are also sealed by Egypt on the southern border. Egypt does not let Gazans into their country either. Why? Because there are Hamas in Gaza whose only goal in life is jihad and to hate and destroy as they push their radical Islamic agenda. You can’t just open borders for people like that. Are many innocent people also suffering? Yes. But the people of Gaza elected these radicals and now they pay the piper. But Hamas has no respect or love for their own people — using them as human shields and propaganda tools. Not all Palestinians approve of Hamas. Most of them do not. 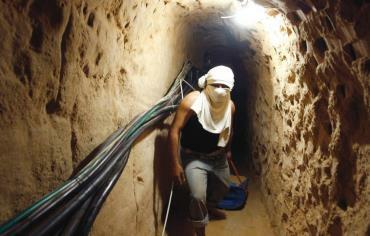 They have also built multiple tunnels to send their suicide bombers into Israel. We saw one blow himself up yesterday in a tunnel, killing Israeli soldiers along with himself. They shoot missiles into Israel to kill innocent people. They intend to kill innocent people even as their suicide bombers. Israel does the opposite, even warning civilians before shelling areas where the missiles are launched from, usually schools and populated areas. Why does Hamas keep their missiles in UN schools and other populated areas? So that when Israel retaliates to neutralize the missiles, Hamas can show the dead and wounded as a propaganda tool — and it works. How do we stop this perennial fighting? Prayer, dialog and care for those suffering war is crucial, but in the big picture the solution is simple. Hamas stops raining missiles on Israel, accepts the right of Israel to exist, gives up their radical Islamic jihad and negotiates peace. Short of that…. 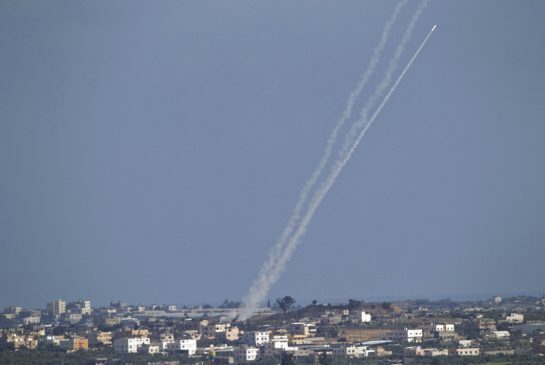 I wonder what Americans would do if Hamas was in a neighboring town sending missiles down on their homes and cities every day. As Catholics I think we do several things: 1) pray for the peace of the Middle East, 2) support Israel which is our only ally and democratic country in the region while at the same time demanding they respect and support Christians, 3) do all we can to negotiate and eliminate war, 4) work to choke off radical groups like Hamas and the Islamic Jihad, 5) support and finance the local Christians, speaking out for their freedom and security, 6) do all we can to help the innocent victims of the war especially the children and families. It is a messy business: war tends to kill people and break things. The politics in the Middle East are messy too. One thing is sure: we cannot view Israel and Hamas as equals. There is no equivalencies here. One is an established democratic nation, the other is a radical, lawless terrorist group. They terrorize not only people outside Gaza but their own people as well. When on Raymond Arroyo’s show a month ago on EWTN he asked me what I thought of the unrest in the Middle East. 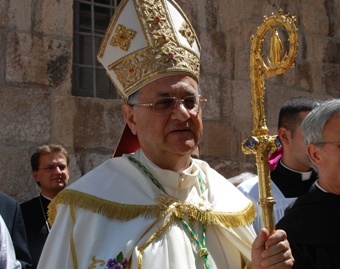 I said the same thing the Bishop of Jerusalem told me two months ago, As a Christian I have hope because God can do anything (remember the Iron Curtain fell) but I am not optimistic at this time because I know the deep-seated issues, people and ideologies involved. But I do pray daily and ask God to do a miracle. The immediate war with Gaza will be over soon, my guess is within a week or two. But the underlying hostilities will not go away soon. I hope, but I am not optimistic.